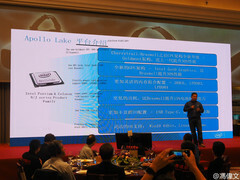 The 14 nm Apollo Lake platform should be coming this Fall with faster performance and 15 percent longer battery life. 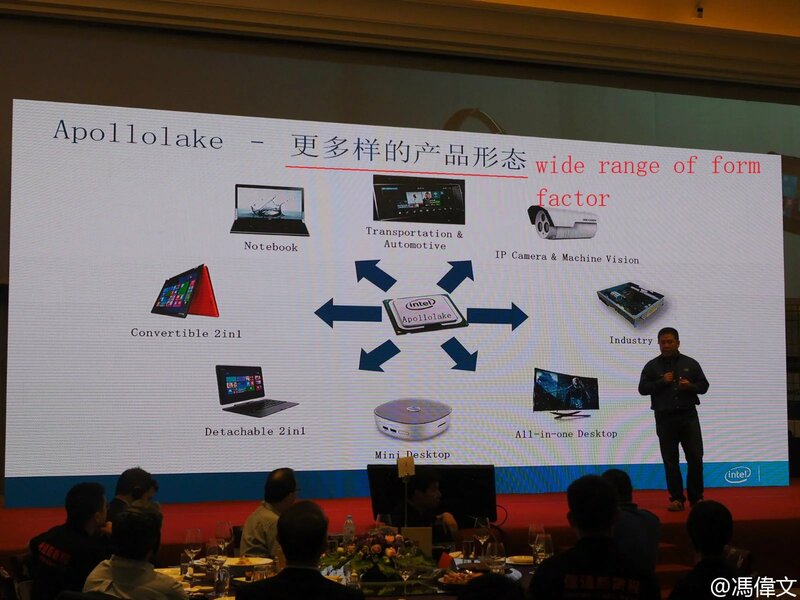 While the successor to the Intel Atom Braswell platform was announced in April, rough performance expectations were unknown at the time. 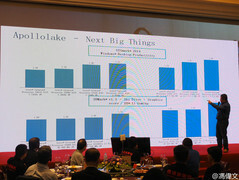 Now, Intel has unveiled some rough data at this year's Computex that correspond with leaks published by Anandtech. We can expect a 30 percent increase in both CPU and GPU performance in addition to a 15 percent rise in battery life according to the chipmaker. 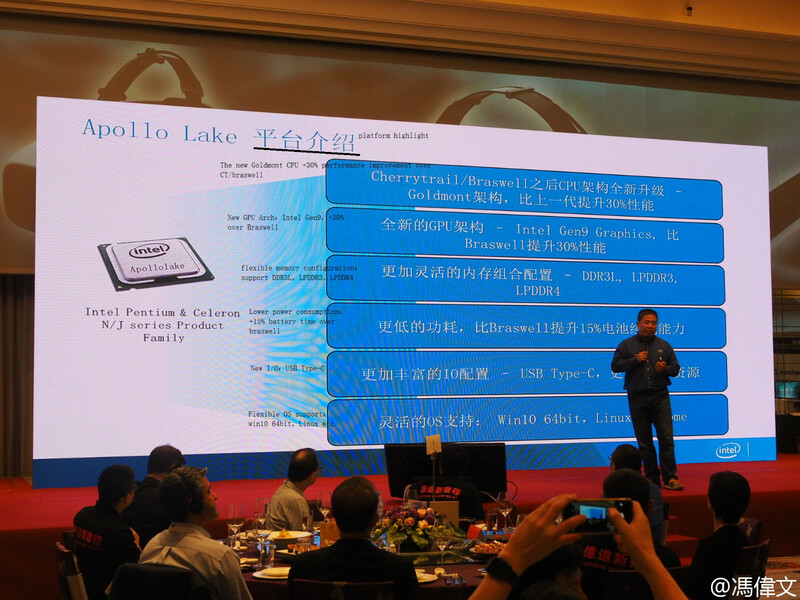 The official slides below also show that Apollo Lake will support USB Type-C, DDR3L, and both LPDDR3 and LPDDR4. Linux and 64-bit Windows 10 support will be supported via the Pentium and Celeron N/J branding. 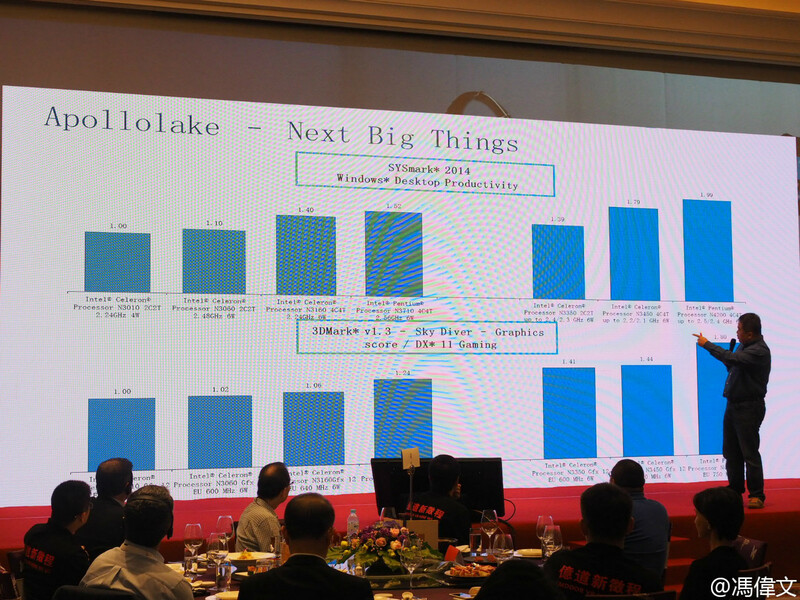 Apollo Lake will be manufactured in 14 nm under the Goldmont architecture that borrows heavily from the current Skylake generation of Core ix processors. 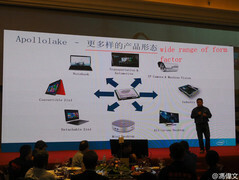 Intel will be implementing the power-efficient processors in inexpensive Cloudbooks, 2-in-1 netbooks, small PCs, IP cameras, and even in automobiles. 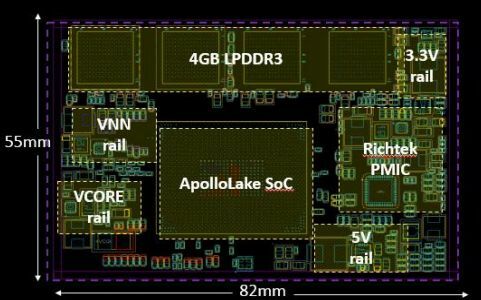 Shipments of Apollo SoCs are expected to begin this Fall.